We decided that trying to attempt a full review of the game would be far too massive an undertaking. After all, we would rather be playing the game instead of writing about it! We’re going to do the next best thing and give you our joint mini-review/impressions of the game: what we particularly like and our overall thoughts on the game. Since the first SSB game on the N64, we’ve been hooked. Mixing everyone’s favorite Nintendo characters with a fighting style game has always been the recipe for awesome. We can say with certainty that Brawl continues the legacy by delivering one heck of a super game. As of writing this mini-review, we’re in the odd position of having nothing bad to say about the game. There truly is nothing we dislike – and for us that’s odd. Subspace Emissary: Just one game mode of many, SSE is like a mini-story mode that offers a very compelling and unique approach to SSB. As you play through dozens of levels you meet and get the chance to play all of the characters. It has the feeling of the usual SSB, a dungeon crawler, a platformer like Mario World, and an exploration/adventure game like Metroid all rolled into one. On top of that it took us 8 hours to play through the entire thing! That’s longer than some entire games! Brawl – It’s the classic fight! Customizable rules, items, and stages all make this truly the backbone of the game. This is the mode you’ll play for months or even years. This is the mode that you and your friends/family will get hysterical over. It’s fun. Classic – This is a solo mode, but still really fun. Playing through like a standard fighter game (think Mortal Combat) you pick a character and battle through until you beat a series of other characters. Events – A few great surprises here like home run smash and other mini challenges that allow you to experience single short unique sides to SSB. One level required us to fight mario and luigi for coins but we weren’t allowed to damage Luigi’s Mansion. Others include seeing how far you can launch a punching bag or fighting in a pokemon themed battle in the arena. Quirky fun. 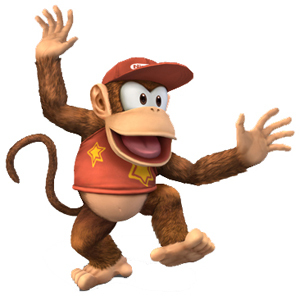 Characters: One of SSB’s strengths is the diverse selection of characters from an assortment of popular Nintendo games. We’re both fairly certain that Brawl stretches beyond just the Nintendo label for the first time by bringing characters in like Solid Snake and Sonic. You can view all the characters, including the 14 newcomers at the Smash Bros. Dojo. We almost feel that there is a meta-game in SSB (Always has been): unlocking all the characters. There are something like 8 hidden characters that can be unlocked in many different ways (we just unlocked them all tonight!). We definitely have our favorites, and we want to tell you about them briefly. Stages: Everyone has their favorite stage (level, map, etc). Brawl includes several old favorites from SSBMelee like Pokemon Stadium and The Temple, a few updates like Pokemon Stadium 2 and Final Destination, and then brings it all home with a ton of all new stages like Sonic’s Green Hill Zone and Luigi’s Mansion. They’re all so amazing and fun to play that we end up having to random or else we fight over which one we get to play. Stage Builder – All new to the series! SSBBrawl allows you to unlock and collect items and use them to create your very own stages. We’re currently trying to unlock more items and things to place in our levels but we look forward to the potential here. We’re hoping to create a level that both of us can finally agree upon. Customizable Controls: We love this feature. You can use a Game Cube Controller, a Classic Controller, the Wiimote, or a combination of Wiimote/Nunchuck. If you don’t like the paritcular controls you can completely customize them to your liking on any of them. Well, almost completely customize. We can’t figure out how to make the D-Pad on a classic controller take over move functions – HAH! We found something we don’t like. I knew it was hiding in here somewhere. 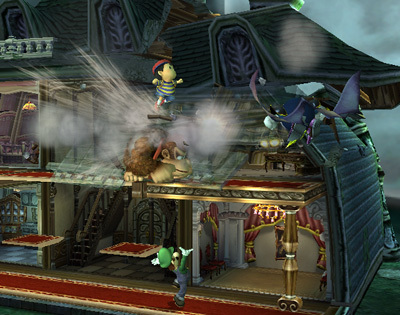 Collectibles and Unlockables: They play a HUGE part in Brawl. There are so many awards, trophies, CD’s, characters, stages, modes, and more to unlock. Like we mentioned before it’s almost a meta-game. We’ve become obsessed with unlocking everything. Overall, this is the game to own on the Wii. Actually, this is the reason to even own a Wii. It’s a great game that makes us laugh, cry (hey, our thumbs hurt, okay?! ), and want to strangle each other (DIE PIKACHU!!!). 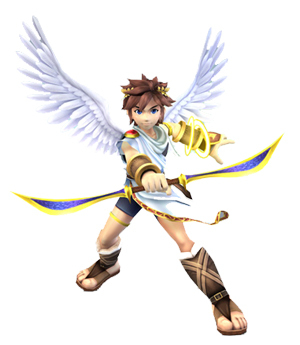 But it’s important to mention that there is always more than meets the eye with Super Smash Brothers. Below the surface of a fun Nintendo themed fighter there is a deep and complicated game waiting to be mastered. It’s been said of SSB that it’s easy to pick up but tough to master – it’s a cliche now, but it’s true. Whether you’re a complete noob or have a SSB cult that refuses to play any stage but Final Destination because the rest are “impure”, SSBBrawl has room for everyone (just look at the Gamefaqs boards to see home crazy some people are). You can enjoy the game by mashing buttons and laughing as you watch your character flop around the screen; you can even beat most of the game modes this way. Or, you can seek to master the mechanics of the game and learn that there are classifications and tiers for characters such as light weights and heavies, and a plethora of other intricate details. Mastering the game doesn’t come easy, but it’s incredibly rewarding to try. We both highly recommend Super Smash Bros. Brawl to everyone. Next PostPS3 MMO to rival WoW? We haven’t had the opportunity to play online yet against others but we plan to share our friend code and challenge anyone out there who wants to face us in a friendly Brawl. According to Nintendo there has been such an incredible response to the online play that the services have actually gone offline under the stress. After we get some online play under our belts we’ll share our findings. I am giving serious consideration to buying this and playing online. If I get it set up we will have to get together and play. Its been a while since i’ve gamed with you guys in any fashion. Roy isn’t in Brawl, but Ike is. 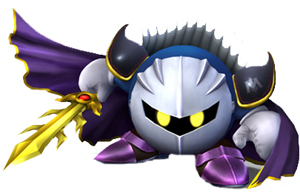 He’s similar to Roy and Marth but has a few unique abilities that make great combos. His up smash is great. As for link, I think they slowed him down quite a bit. The same can be said for all the characters, but link’s sword spin up special isn’t what it used to be. To achieve the same effect as Melee Link you’ll want to play Toon Link who plays more like Young Link. Now there’s an awesome character! Sigh. I need 48 hours in a day and double my income to keep up with all the stuff coming out this year. I suppose that’s a good problem to have, but still, sigh. Your review has finally pushed me to buy the game. Why did you give it only 4.5 out of 5? I was all for giving it a 5, but Graev felt it wasn’t 5/5 perfection. He felt it should get a 4, and I felt a 5, so we compromised at a 4.5 since it was our joint review. I still have little to complain about with the game. The multiplayer mode lags a bit if you’re near near your opponent’s region (for example california and NY can lag when playing together) and I really wish I could make use of the D-pad. But other than that it’s near flawless. Keen, I’ve been playing with just one controller on its side in my limited use. You can use the dpad that way. I’m going to try with the nunchuck later.